Australia's tropical north typically experiences heavy rains during the monsoon season, but the recent downpour has seen some areas get a year's worth of rainfall in a week. "If the thought of coming face to face with a crocodile isn't deterrent enough, before you start playing in flood waters you should always remember the distinct possibility you could be wading in your neighbour's faeces", the statement said. "Small boats worked through the night to evacuate members of the community," said local commander Brigadier Scott Winter. "It's basically not just a one in 20-year event, it's a one-in-100-year event," said Palaszczuk. "This is unprecedented, we've never seen anything like this before," she said. Ergon Energy's spokesperson Emma Oliveri told the AFP that more than 16,000 people were without power, with the supplier unable to say when the lights will come back on. "We'll continue to do all we can to get stock into Far North Queensland while the roads are cut," she said. The Bureau of Meteorology's Adam Blazak told AFP the downpours could continue until Thursday, while floodwaters will take some time to recede even when the rains lessen. 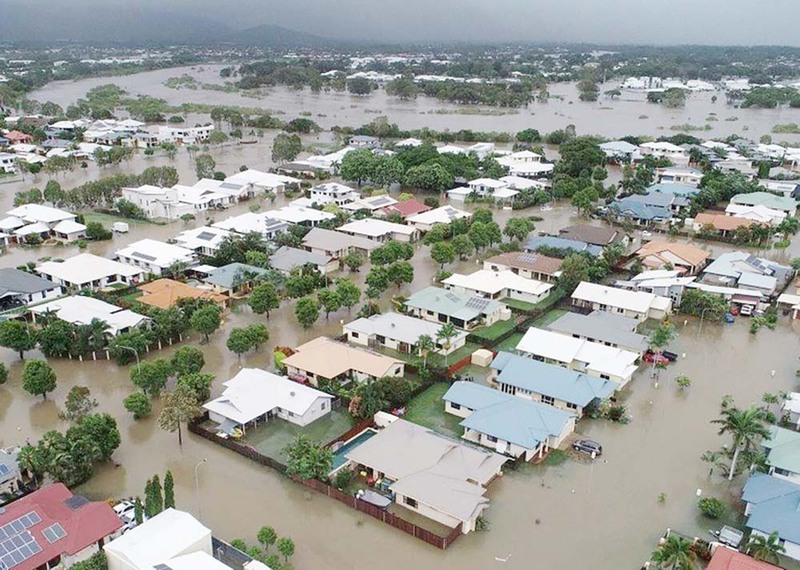 "Queensland has already born its fair share of extreme weather recently, with unprecedented bushfires, drought, heatwave, a cyclone, and now intense rainfall and flood," said Richard Thornton of the Bushfire and Natural Hazards Cooperative Research Centre. He warned resources "are now being stretched beyond normal with the severe weather seasons getting longer and more complex".